I don’t know about you, but I love subscription boxes. There’s just something fun about a box showing up on my doorstep with cool, curated stuff just for me. 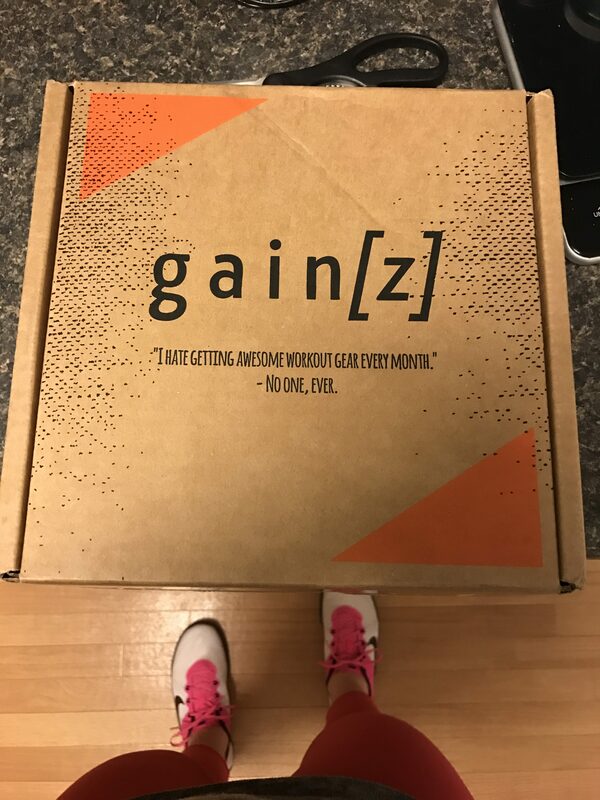 I’ve previously done Stride Box, I’m a frequent Stitch Fix-er, we currently subscribe to o the Wizarding World of Harry Potter Loot Crate, and I recently signed up to try gainz box. 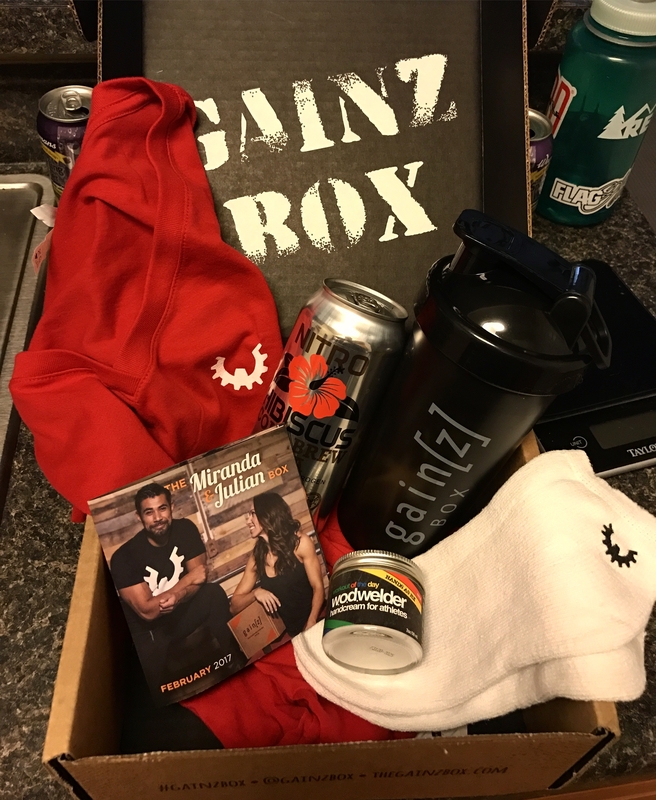 Gainz Box delivers a number of specially curated CrossFit and weightlifting products to your door – now, disclaimer, I don’t do CrossFit. I enjoy following CrossFit athletes and many of my workouts use elements, but I’ve never been to a box nor have I ever done a class. 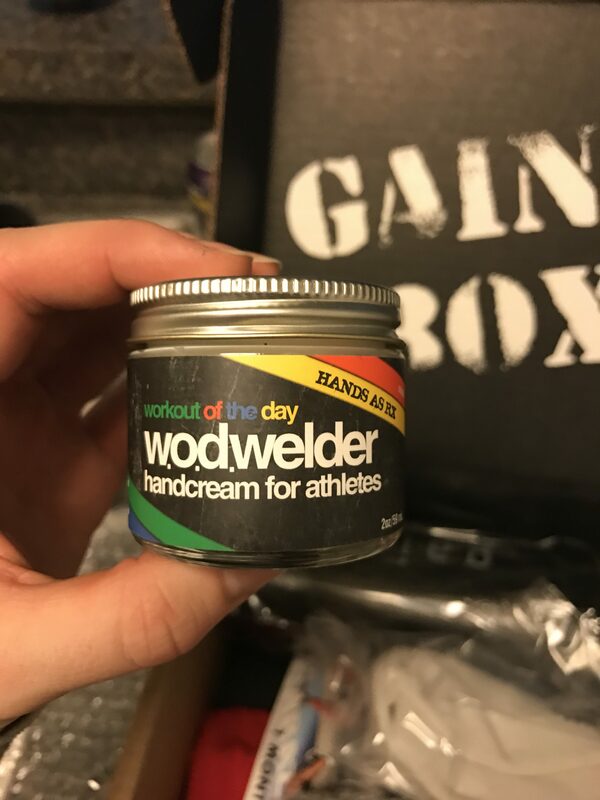 That said, I still felt like gainz box has products that were for me! I was thrilled to receive mine this week and was excited to see how the products could work in my gym life. Each box could contain the following elements: apparel, supplements, equipment, snacks, collectibles, and since the boxes are curated by different experts each month, you also get a bit of their knowledge. 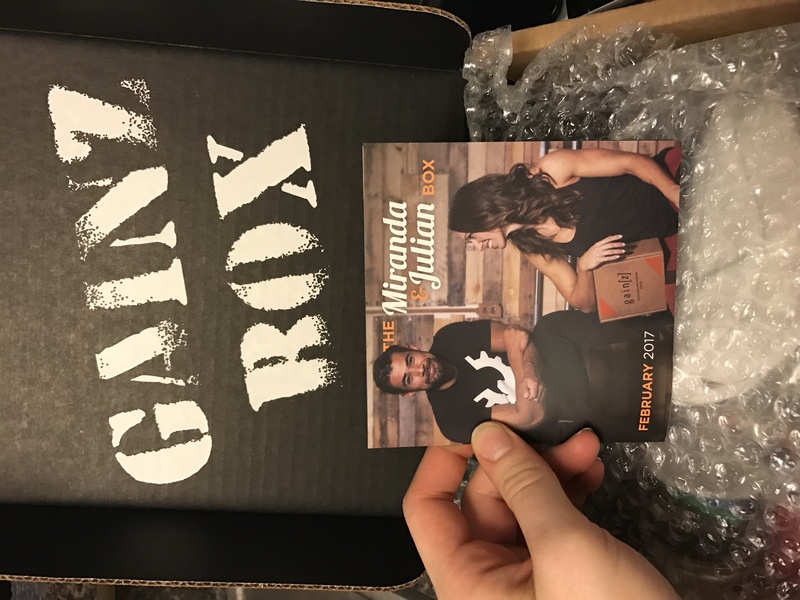 The February box was put together by Julian Alcaraz and Miranda Oldroyd – both well-known and seasoned CrossFit Games athletes. The products included are some of their favorites and the included write up gives you details about what’s included, as well as some discount codes if you want to buy more! The first thing I pulled out of the box was WOD Welder hand cream. This moisturizer is supposed to increase the elasticity of your skin and help repair your callouses, ultimately protecting them from nasty rips and tears. I have some gnarly callouses from all of the barbell work I do, and I can tell you I need all the help I can get. Plus, it smells good and isn’t too heavy or greasy. That’s a win! You guys. I love tea. A lot. I drink tea every day – usually hot, because it’s the easiest to make at work. But yeah, tea is great. I was super excited to see this in this box and I was even more excited to see that it was just that: tea – nothing extra added, tea and water. Paleo, no added sugar. I had this at work yesterday, and omg. It was awesome. 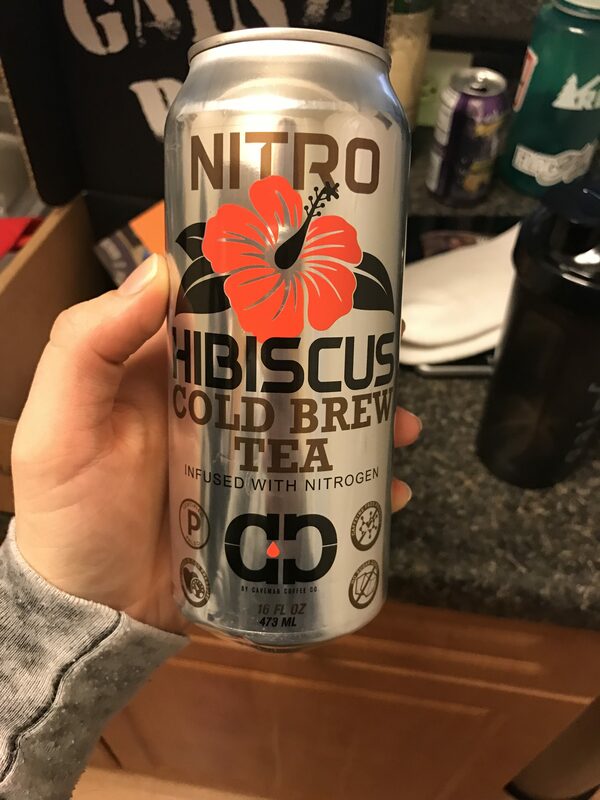 I need to get my hands on more of these, because it’s starting to get warm in Virginia and iced tea is my jam. Gimme. Also included? A shaker bottle. I probably have… six… seven shaker bottles? Clay and I use these daily, whether it’s for preworkout or protein shakes. One can never have too many. I threw this one in my gym bag, where it will probably live permanently, or get migrated to my office, so I have one there. Getting new workout clothes is maybe one of my favorite things ever – and this box had not only this v-neck tee from Wod Gear, it also included a pair of socks. I haven’t tried those yet (I’m picky about my socks), but I wore this shirt to the gym yesterday and it was great. Typically, I don’t wear sleeved shirts when I work out, but this one’s sleeves are short enough that I didn’t get too hot. It’s a nice add to my collection. All in all, I was really pleased with what I got this month. This box is a little pricey – for the month to month subscription it’s $32, but the value is great. You’re getting approximately $75 worth of gear for about half the cost. And with the coupon codes included as well? Yeah. I approve. I’m going to keep my subscription for another month or two for sure – I’d like to see what other boxes look like and I definitely don’t mind getting some new swag in the process. 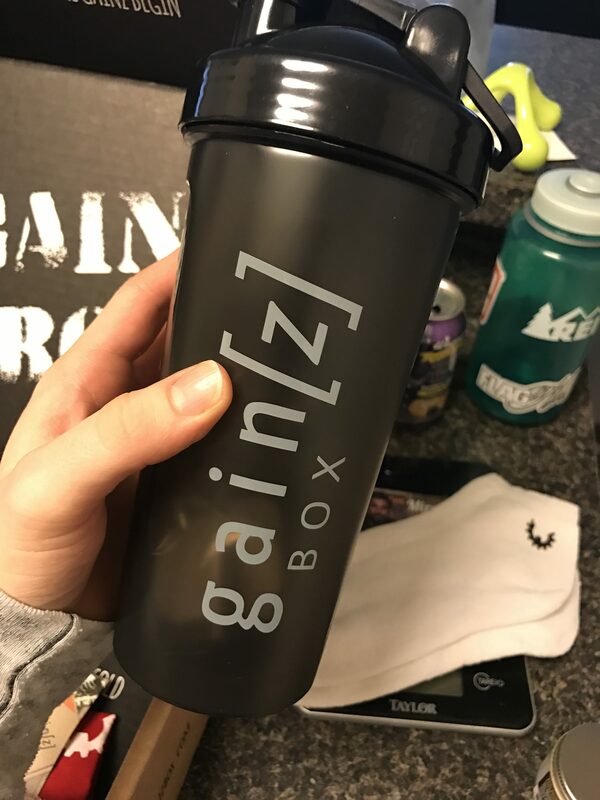 I’ll say it again, you don’t have to be a crossfitter to subscribe to gainz box – honestly, I found everything in this box useful to me as someone who weight trains regularly. If you do, too, check it out! You’ll get some great products, and maybe you’ll be exposed to something you haven’t tried before. 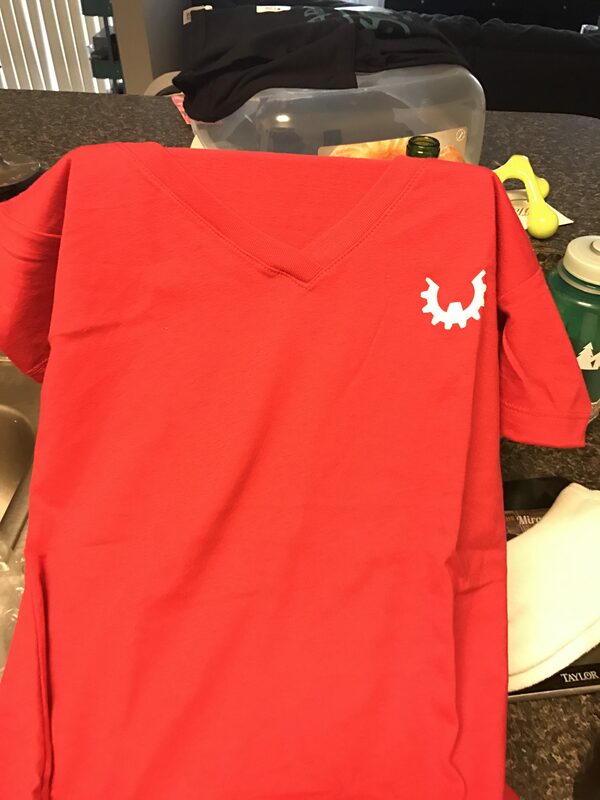 This entry was posted in Fitness Apparel, Food, Fun stuff, Reviews and tagged crossfit, gainz box, gym, kyle, review, weight training, workout. Bookmark the permalink. I feel like I can’t keep up with all of the subscription boxes out now! This one looks good because you can tell they really took the time to fill the box with useful products. Exactly – that’s what I liked about it. It’s pretty obvious that they work really closely with the experts that they chose to curate the products each month. Like, Julian and Miranda are the real deal – serious athletes who endorse products they actually use. I liked this one a lot! I need to try that hand cream! It’s funny because some of my gym buddies wear gloves when we lift and I just recently wound up giving my gloves away because I never wear them. Any idea where I can find it? It’s the “hands as rx” stuff. I like it so far! The only subscription box I get now is the beauty box. I feel like I can always use consumables!